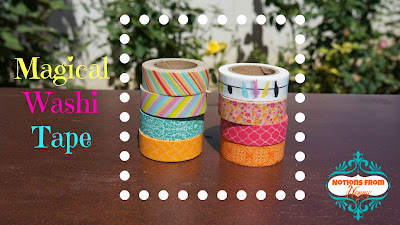 I received my order of washi tape from Pick your Plum. ( I just love all of the great deals they have!) 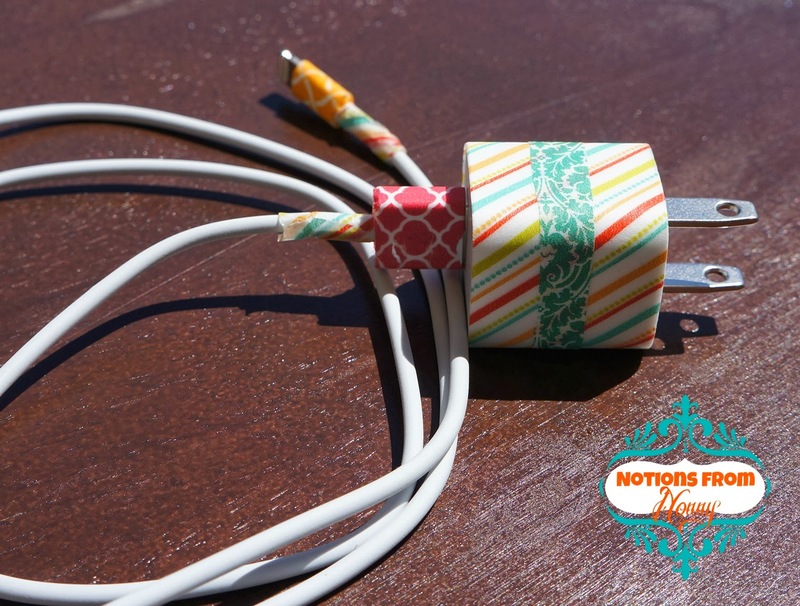 I knew exactly what my first project was going to be; personalized iphone charger! My boys have a tendency to steal borrow mine when they just happen to misplace theirs. Ha! Not anymore....it is amazing when you buy something pink or put girl colors on it, they are not so interested in borrowing it anymore. For my purse, I needed a case for safety pins and other small items. 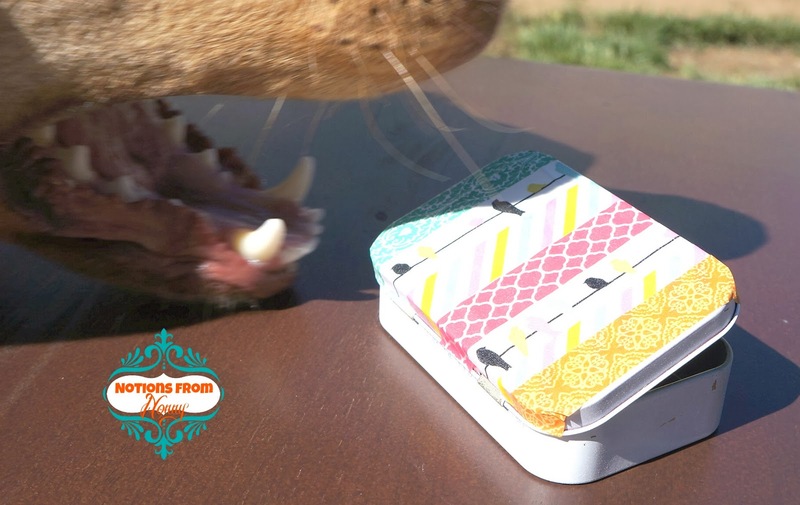 I took an old Altoids tin and spray painted it white. 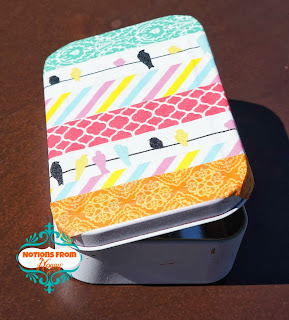 Then I put washi tape strips on the lid. Cute and whimsical! There are so many others things you can do with washi tape! 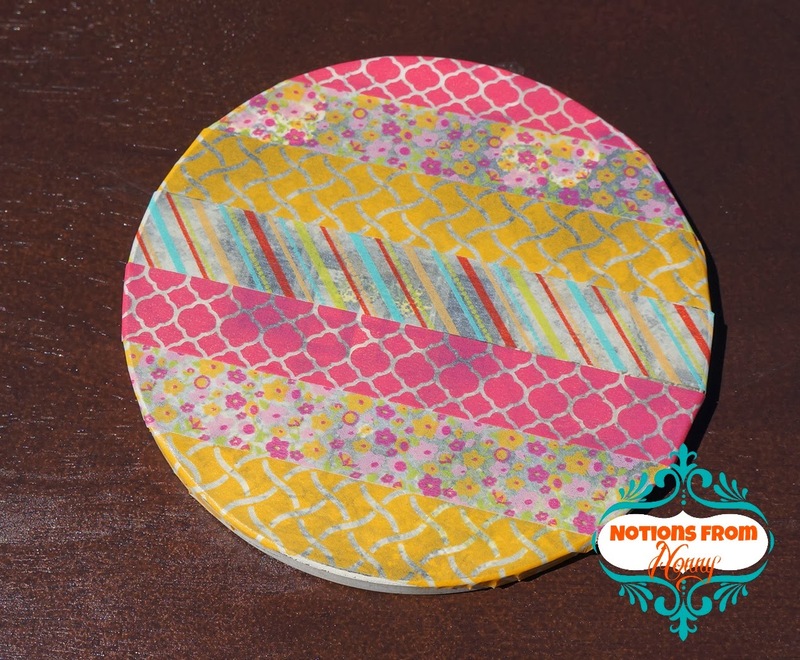 It is so bright and pretty and I am sure I will find more things to tape! I couldn't even take pictures! He didn't make off with this.......but he did manage to get he coaster. 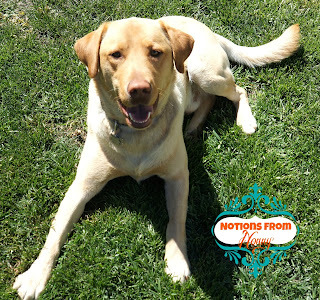 Rye the Rascally Dog! No, I don't have little ones running around.....just four legged ones! Never a dull moment here!! 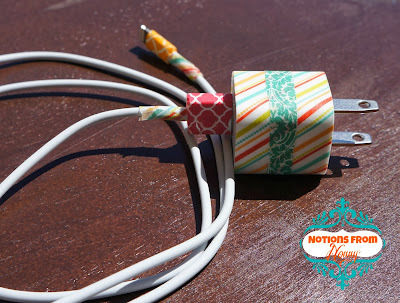 I've never heard of washi tape. Is that the same as duct tape? No, I wouldn't compare it to duck tape. More like printed masking tape. It is all over the craft stores. 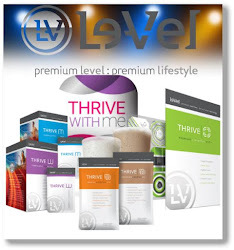 You will have to check it out!! 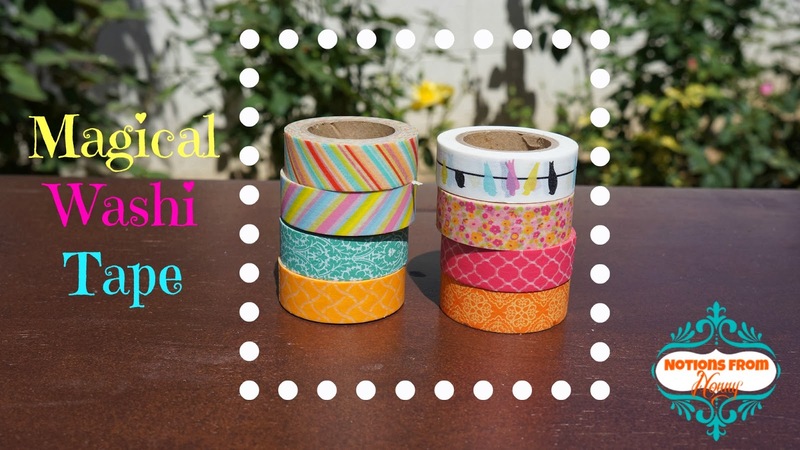 Washi Tape is awesome! I've seen so many things featuring Washi Tap on Pinterest; it's an easy and fun way to update notecards, accessories, and office supplies! I LOVE how you decorated the Altoids tin! !